Drunk Driving Accident Attorneys | Johnson & Biscone, P.A. Despite the consequences and punishment, people continue to drive intoxicated and put lives in jeopardy. Since drunk and drugged driving are negligent acts, victims of DUI-related crashes may be entitled to compensation for wrongful death and personal injury. Johnson & Biscone, P.A. can help. According to MADD, two in three people will be involved in a drunk driving accident in their lifetime. Because this drunk driving statistic is so high, Oklahomans have to be prepared. Without knowledge of who to ask for help or legal representation, you could be left in a desperate situation without any compensation. How can you protect yourself if you are in a wreck with a drunk or drugged driver? If you’ve been injured in an accident with a drunk or drugged driver, do not hesitate to call Johnson & Biscone at 405-232-6490. Remember: No fee if no recovery. Businesses that sell alcohol have a duty to the public not to sell or serve alcohol to someone who is noticeably intoxicated. If they do and that person drives and injures someone, the business can be held accountable. Take advantage of our free consultation and begin the claims process today. 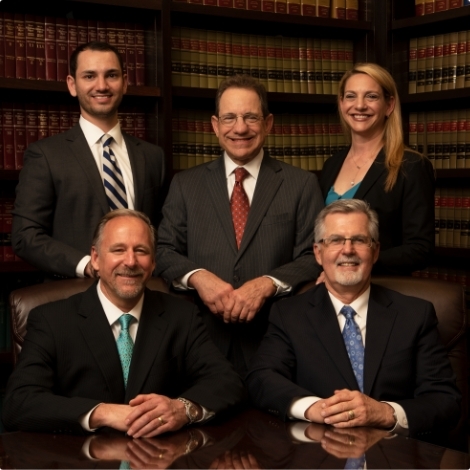 Our attorneys will represent you through the process of obtaining fair compensation. Contact our law firm in Oklahoma City today.